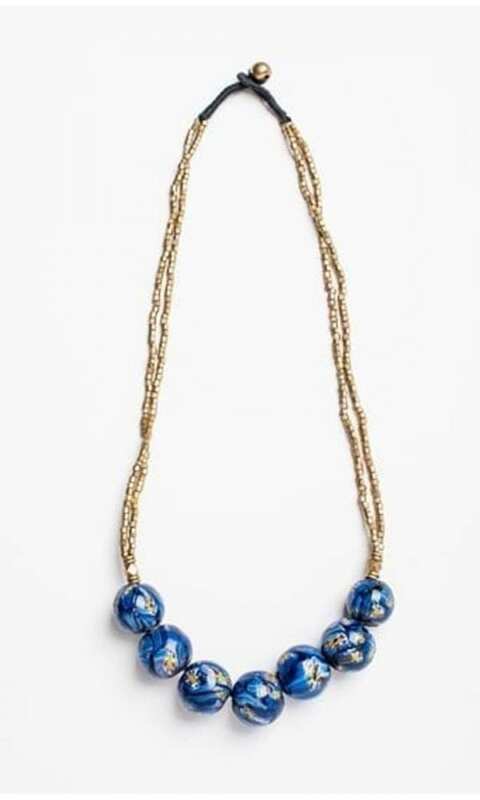 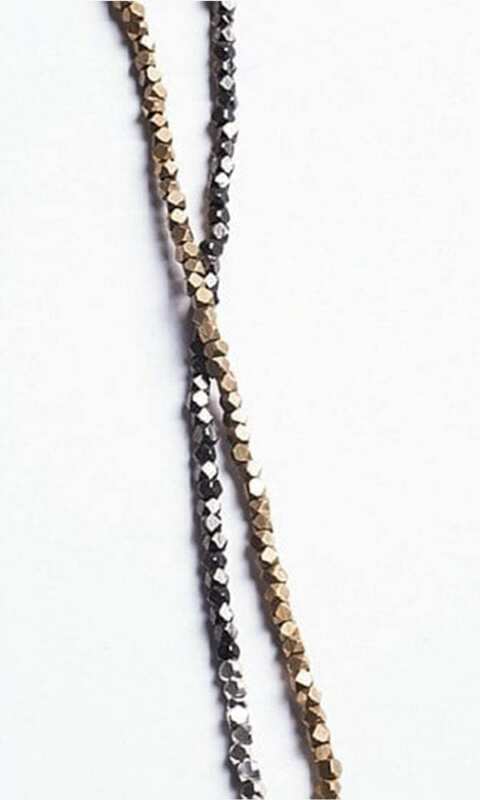 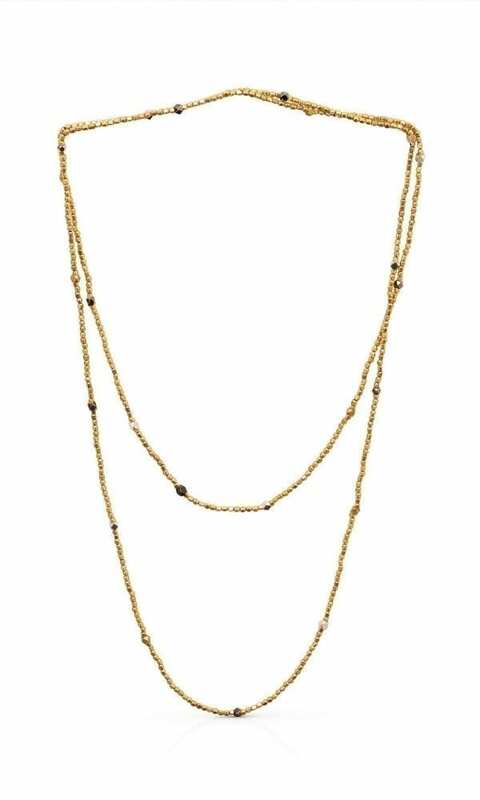 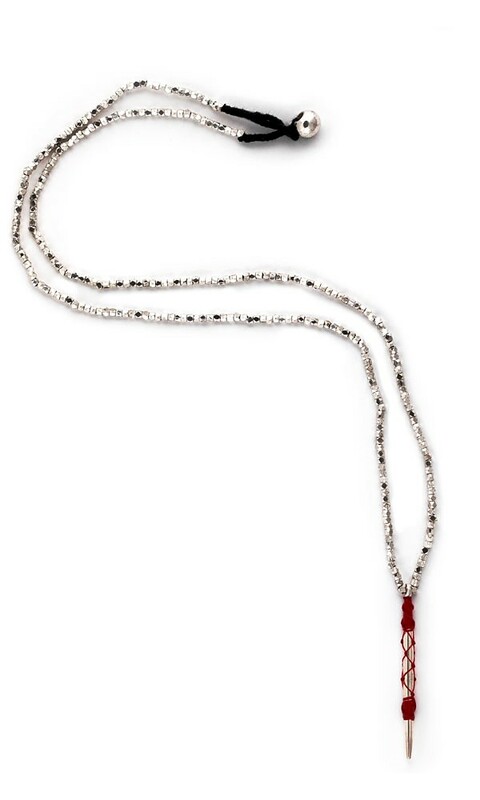 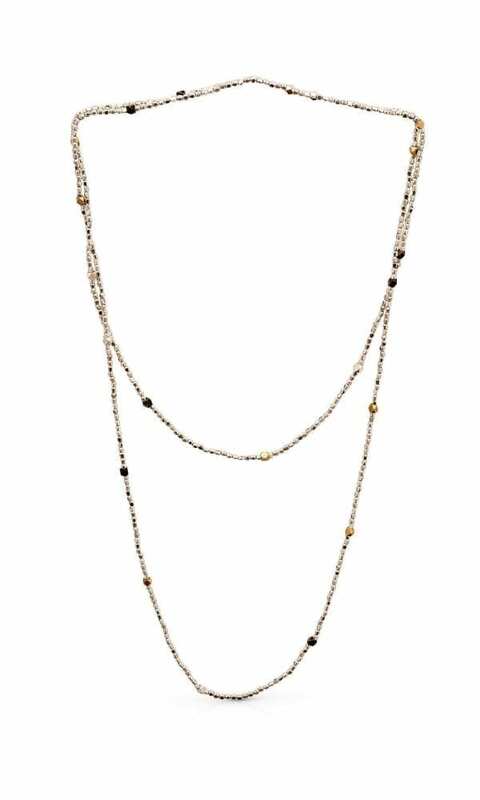 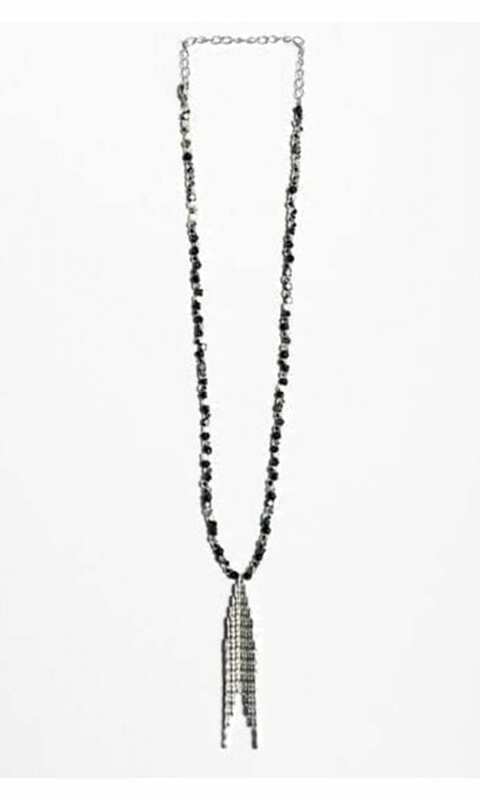 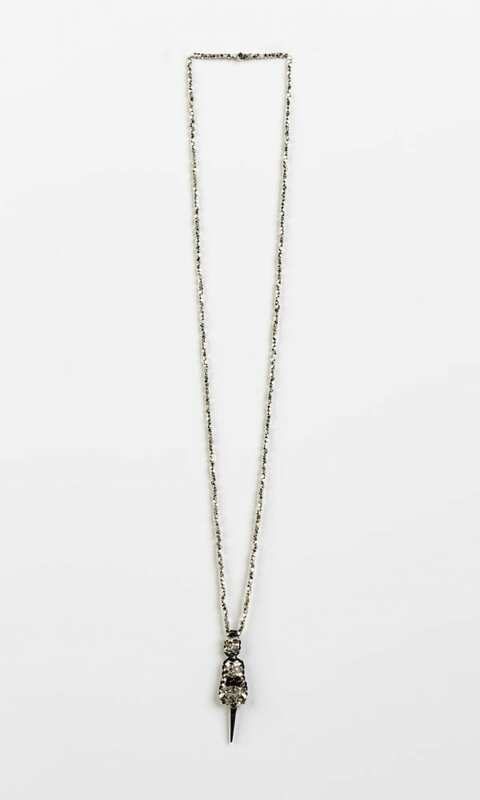 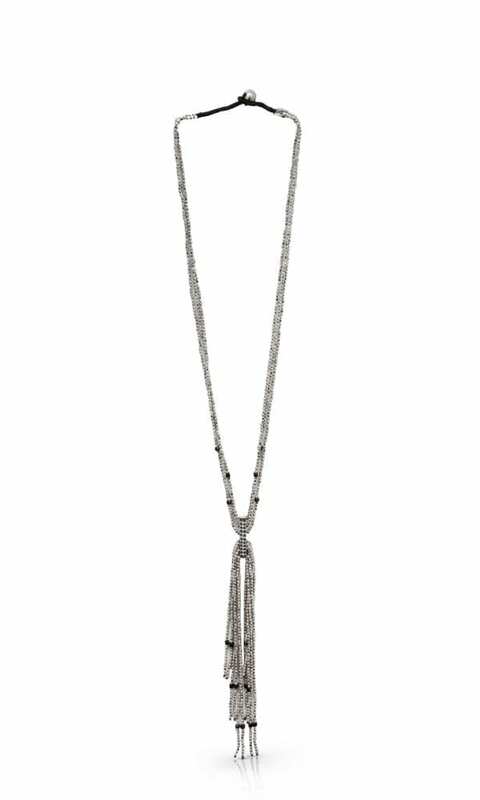 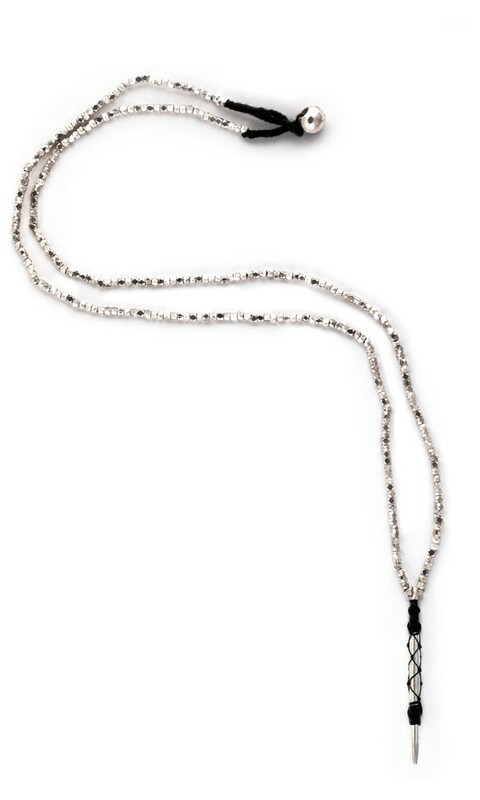 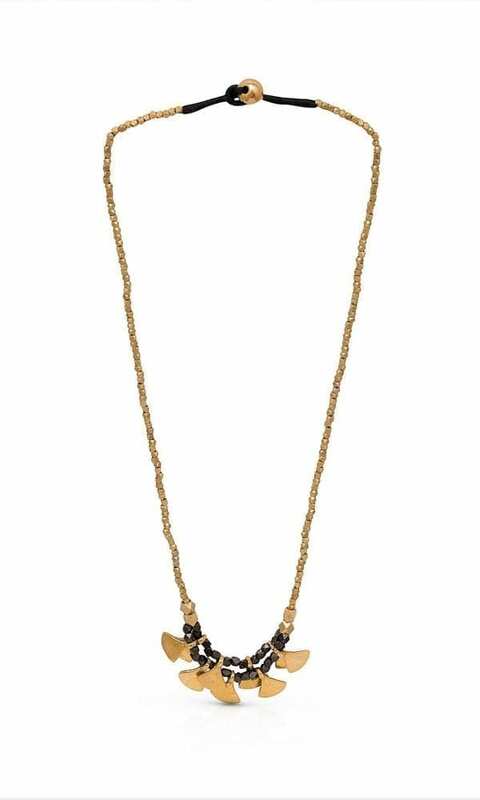 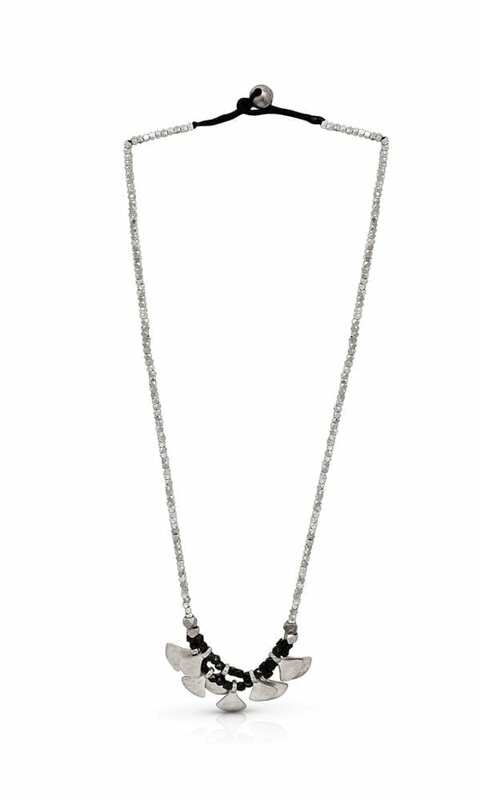 Ninet Necklace is an elegant necklace with an edgy pendant. 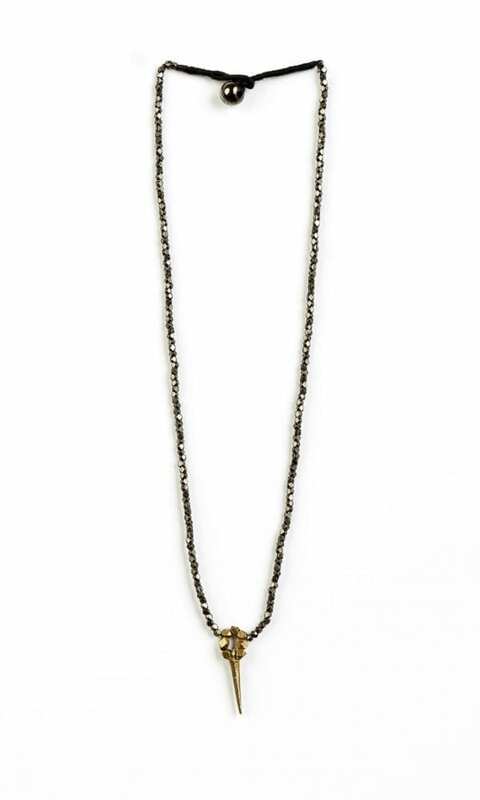 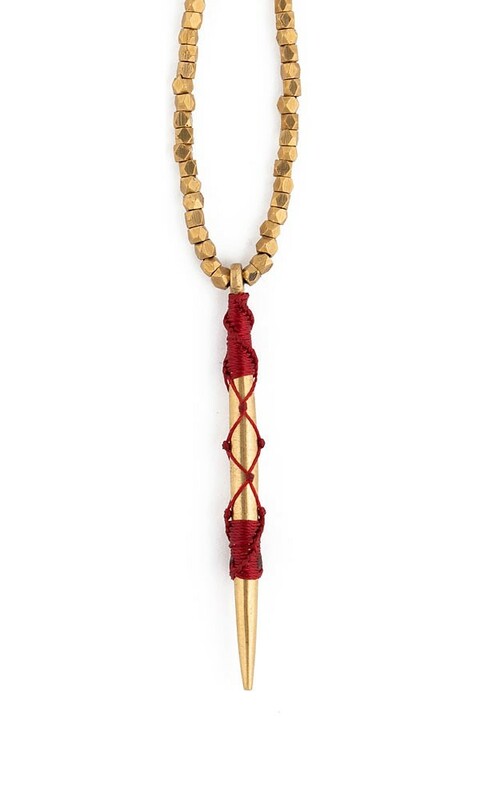 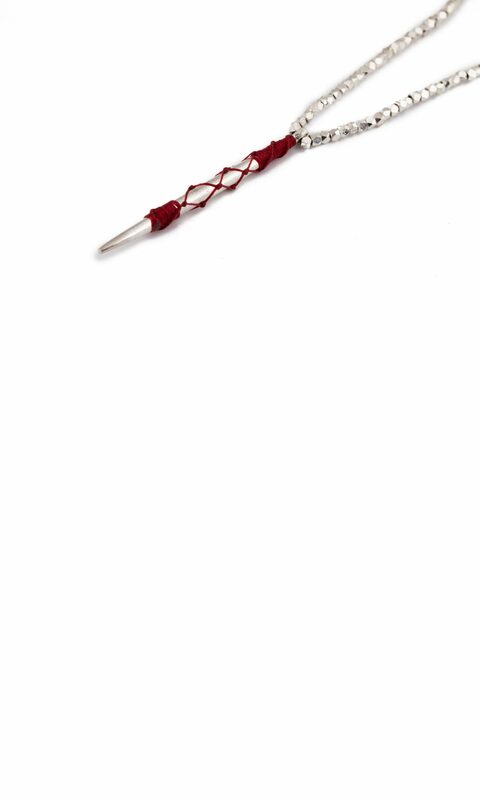 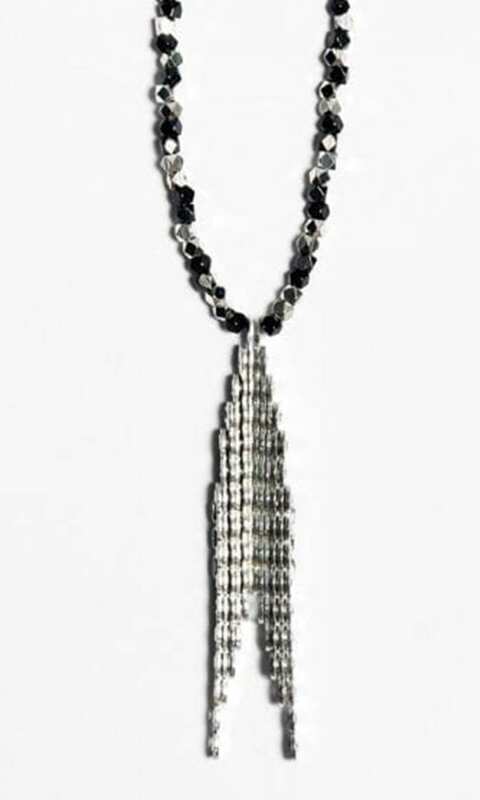 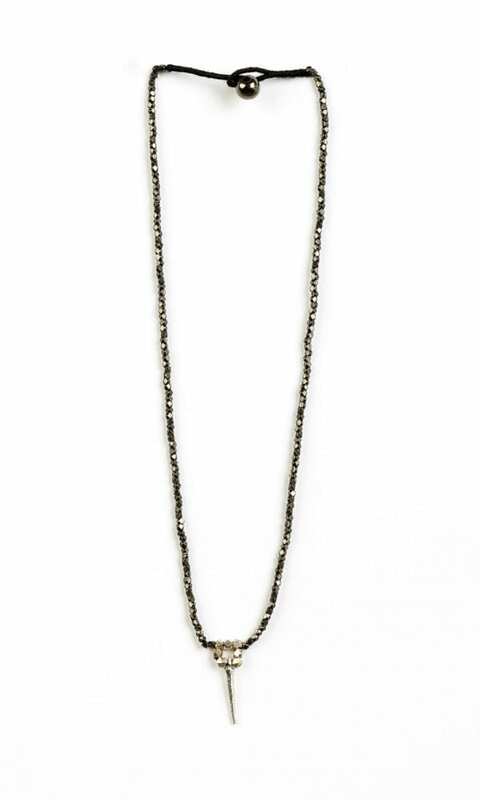 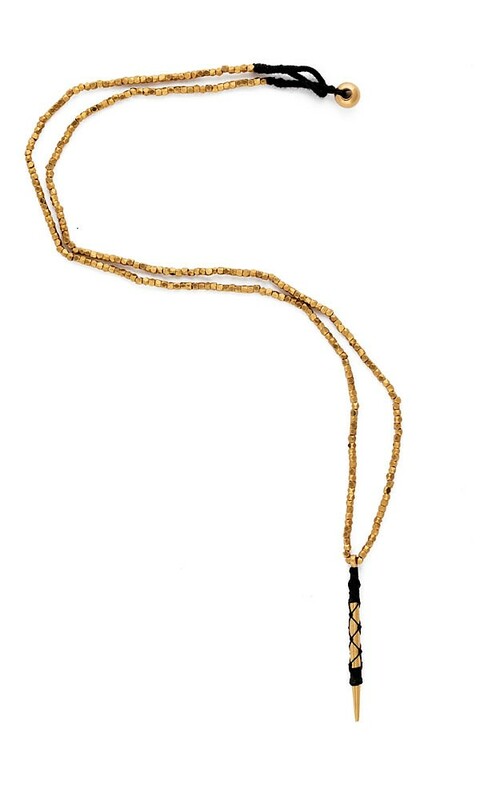 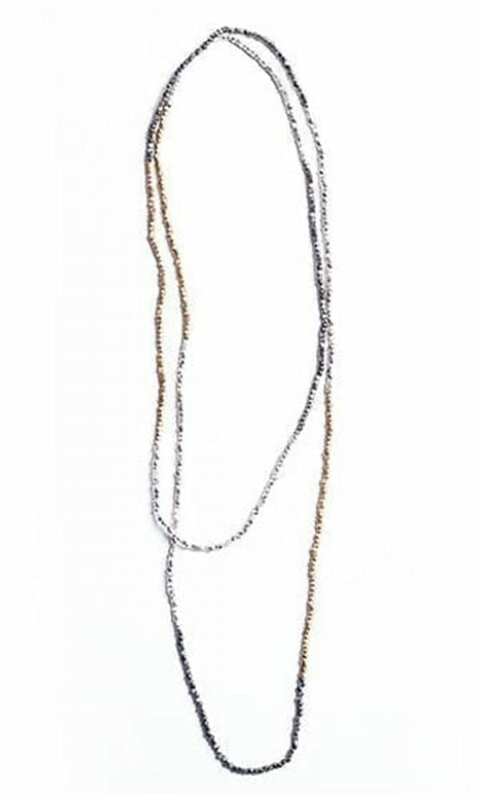 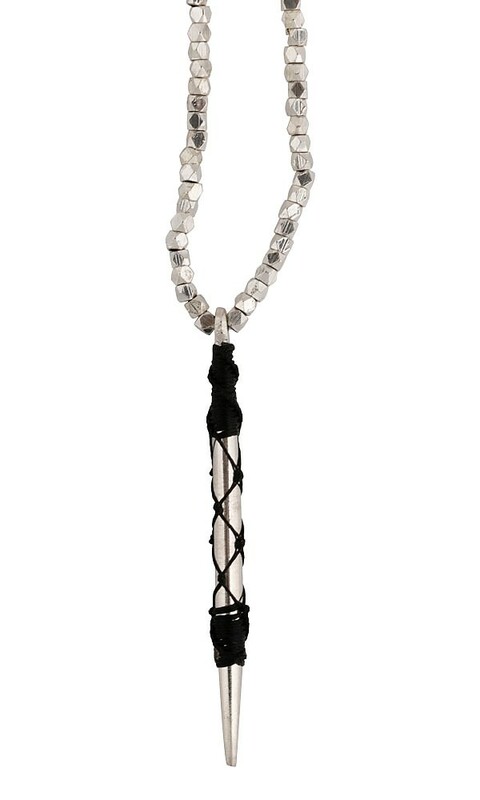 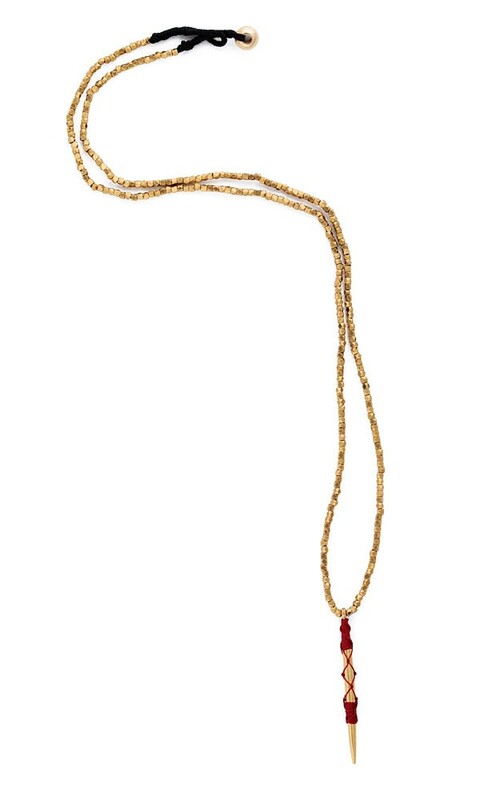 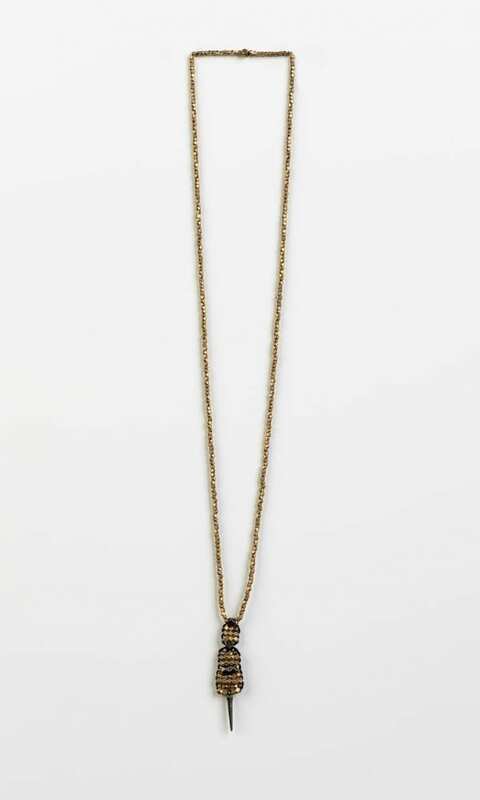 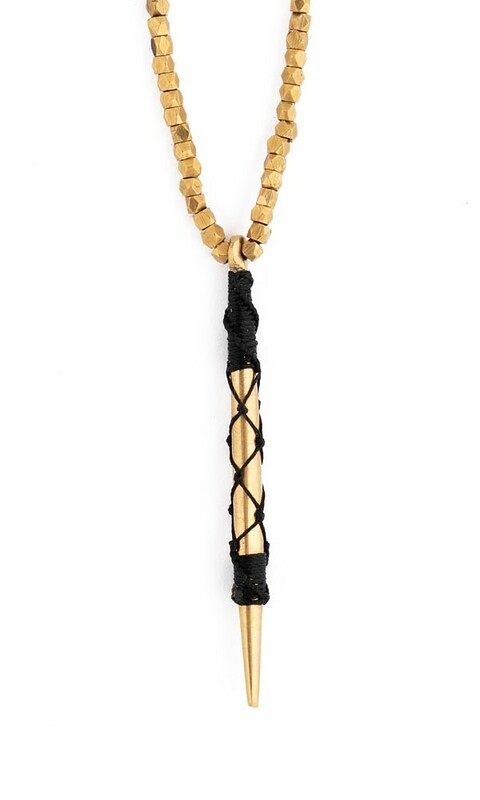 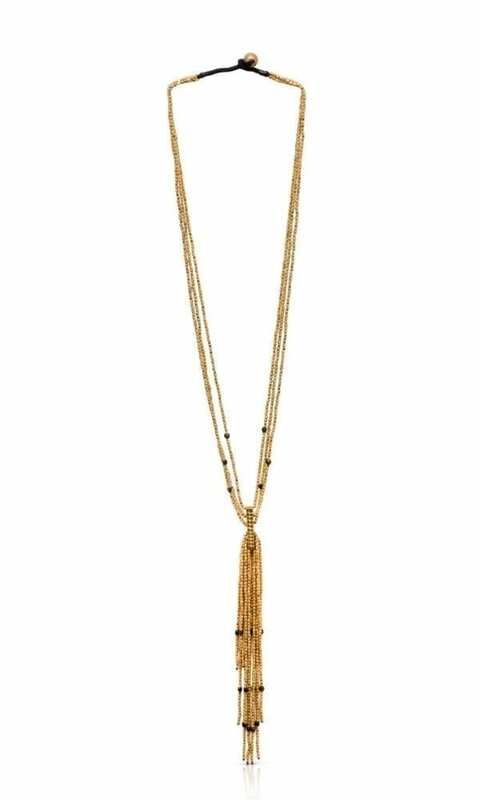 The sharp pendant, captured in macrame netting is hung off a minimalistic brass beads chain. 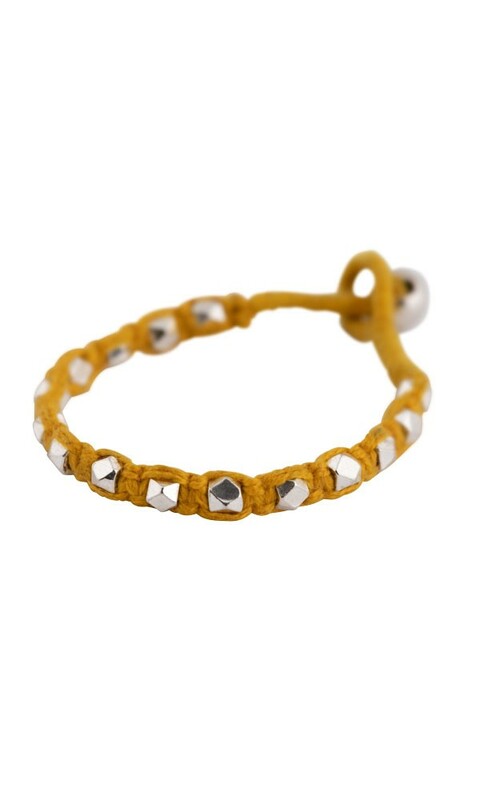 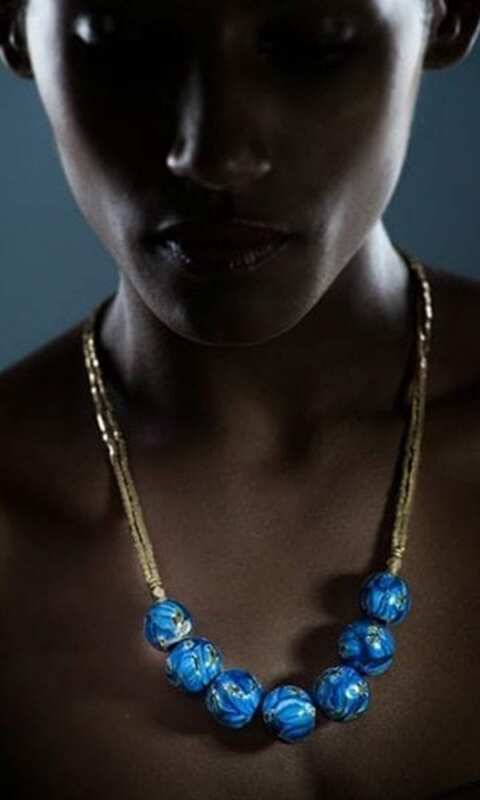 The combination of contemporary design and traditional craft creates a beautiful piece of jewelry you can easily combine with a casual t-shirt or evening wear.